Much of the recent discourse surrounding Slayer involves how they're not really Slayer anymore. The passing of guitarist Jeff Hanneman is absolutely tragic, but let's look at the facts: Tom Araya and Kerry King are still in the band, and current drummer Paul Bostaph has pretty well split the time with ex-drummer Dave Lombardo. Besides, at least the band replaced Hanneman with a member of the other best thrash metal band of all time: Exodus's Gary Holt. 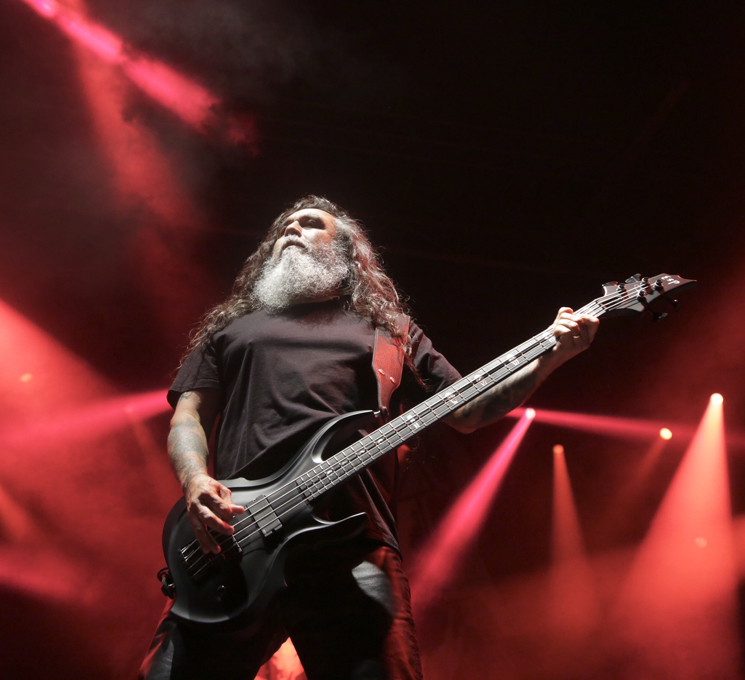 Slayer is still Slayer enough to silence the naysayers. At Amnesia Rock Fest, problems didn't really have anything to do with the members or lack thereof. A thin mix rendered their opening song a write-off; fortunately, it was just "World Painted Blood." By the time the sinister Slayer got their sound sorted and busted out the classics — "Mandatory Suicide," "Seasons in the Abyss," "War Ensemble," "God Hates Us All," "Dead Skin Mask," "Raining Blood" and "Angel of Death" were some of the choice cuts — it was a standard Slayer set, with all the good and bad that brings. Heads were banged, solos were shredded and drums were beaten into oblivion. Unremarkable as it may have been — the band's full production and stage setup might have helped — it was still pretty cool seeing the thrash legends do their thing.